Urban furniture with high-quality, efficient shapes and materials providing comfort and security in public spaces. Veloform’s mobile urban furniture are innovative room solutions for the public space. Important features of the fully equipped cylindric buildings are security, comfort and a striking shape with prominent advertising space. The elegant bboxx Guard House won the first prize in a European tender called by Polizei Berlin for their guard posts. All bboxx models can also function as concrete barriers for events and public areas. The transportable room solutions include a mobile Accessible Bathroom, a striking box office, and information booth. The tiny buildings feature a 360-degree advertising surface. Transport and installation are quick and easy. Slim diameter, sufficient space inside, and an excellent view. For temporary or permanent security guard posts and entrance booths. Flexible, mobile and weather-proof, with a 360-degrees brandable surface. 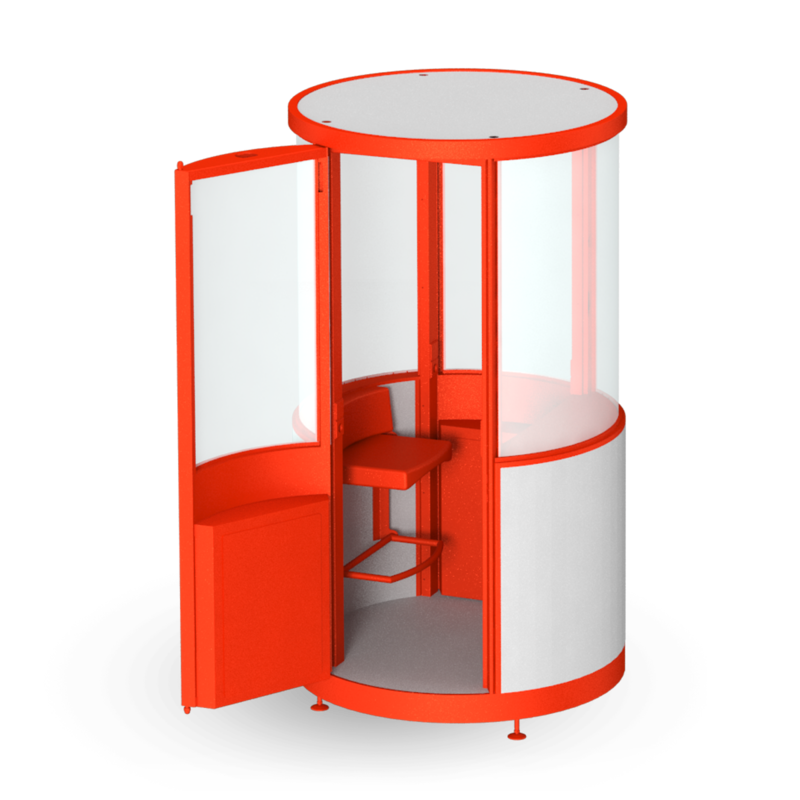 Transportable, solid info booth or box office. The outside surface can be fully branded. Easy transport and installation, insulated, heatable, active ventilation. Mobile sanitary facility for events, hotels, hostels and camping sites. The outside surface can be branded individually, all colours, coatings or plots. Mobile rooms and towers provide versatile room solutions and security for events. Various models and different heights are available to build concrete barriers with advertising surface. Transport and assembly are quick and easy.